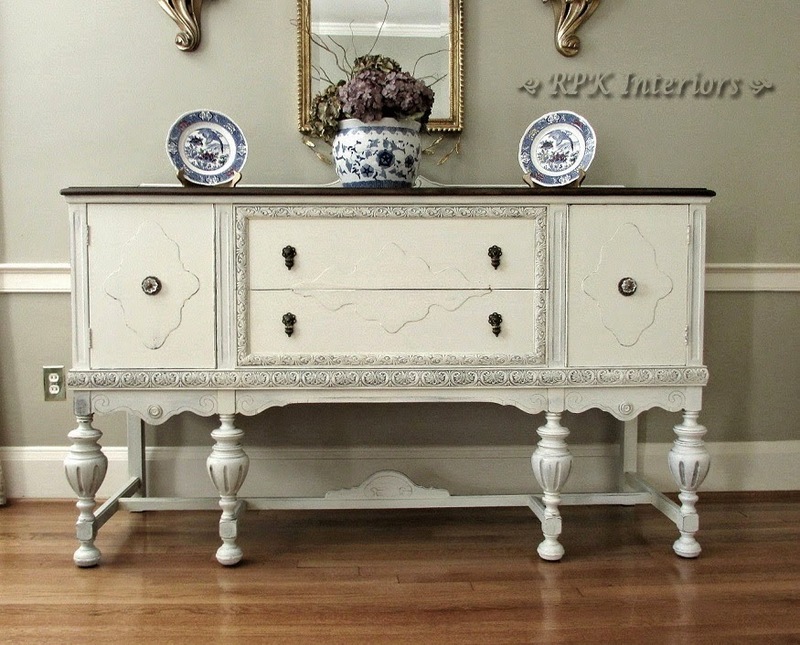 Robin from RPK Interiors shared this classic vintage buffet with a fresh new look! No need to pass on chairs with torn cane seats. 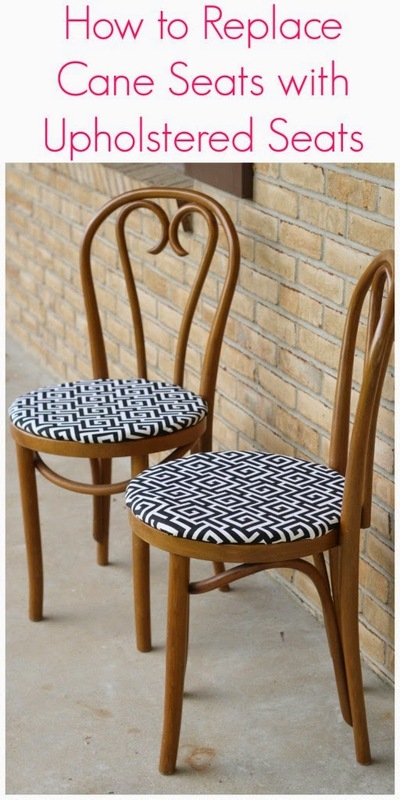 Cassie from Primitive & Proper shared her tips on how to create beautiful new upholstered seats! Maria Elena from Our Home Away From Home created this beautiful bench for her foot of her bed! 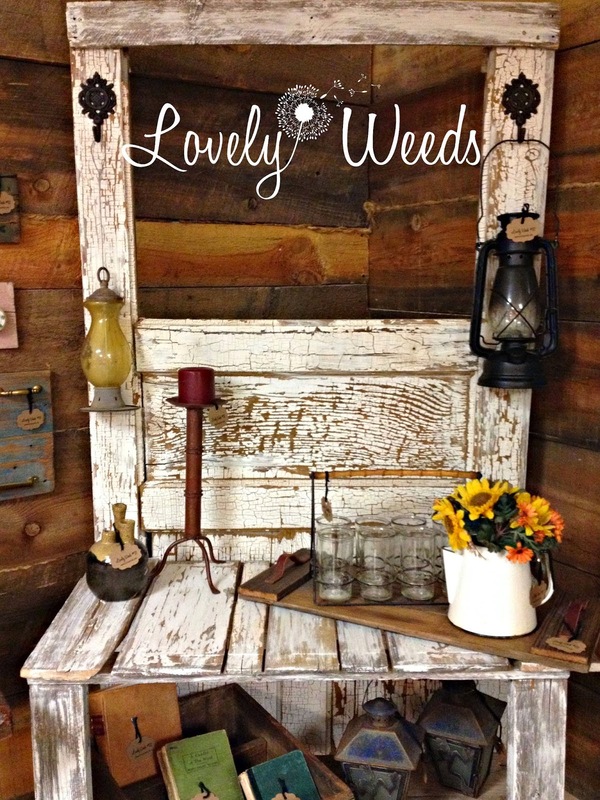 Cassie from Lovely Weeds shared this awesome salvaged door potting table - a save from the burn pile! 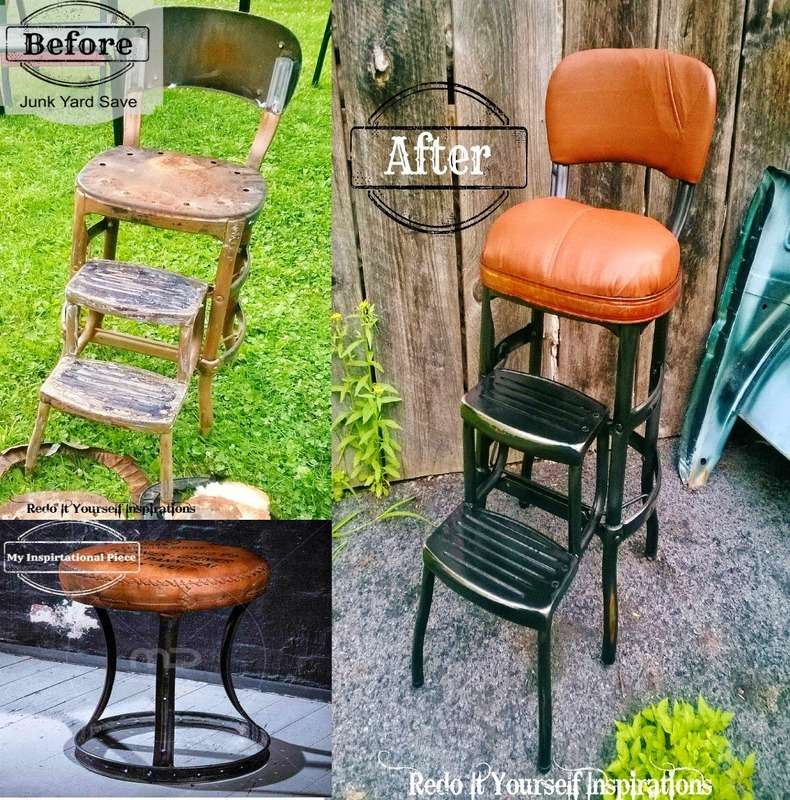 This step stool makeover from Redo It Yourself Inspirations involves a skirt, a belt and a very creative mind! 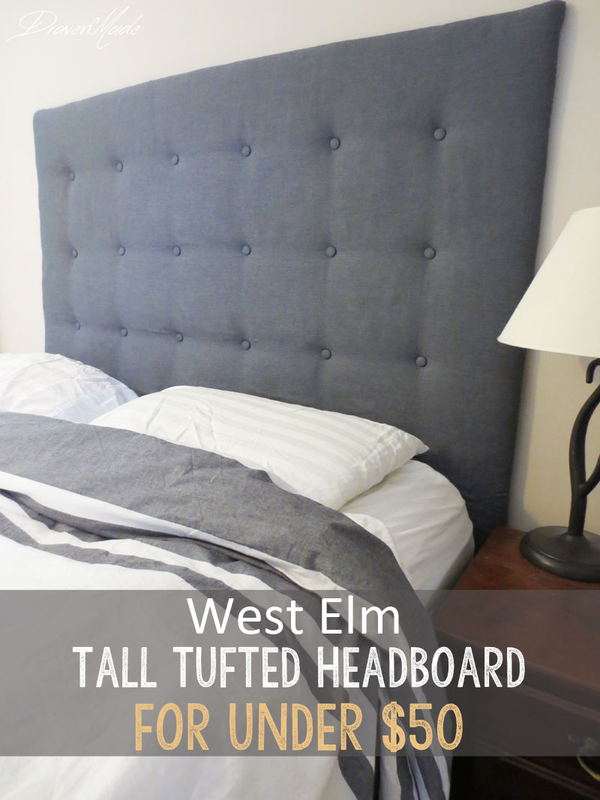 Check out this beautiful DIY tufted headboard from Draven Made! And what could be better as an after dinner treat than an Andes Mint? 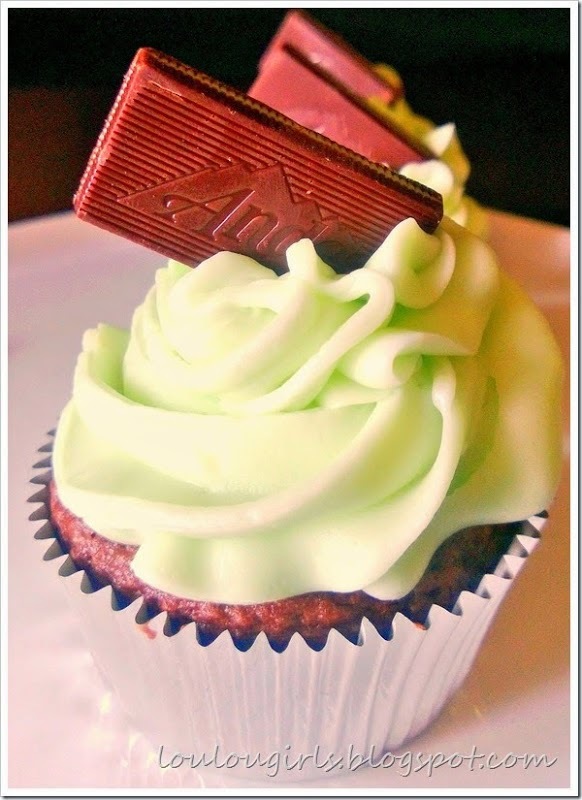 Well maybe an Andes Mint Cupcake from LouLou Girls! 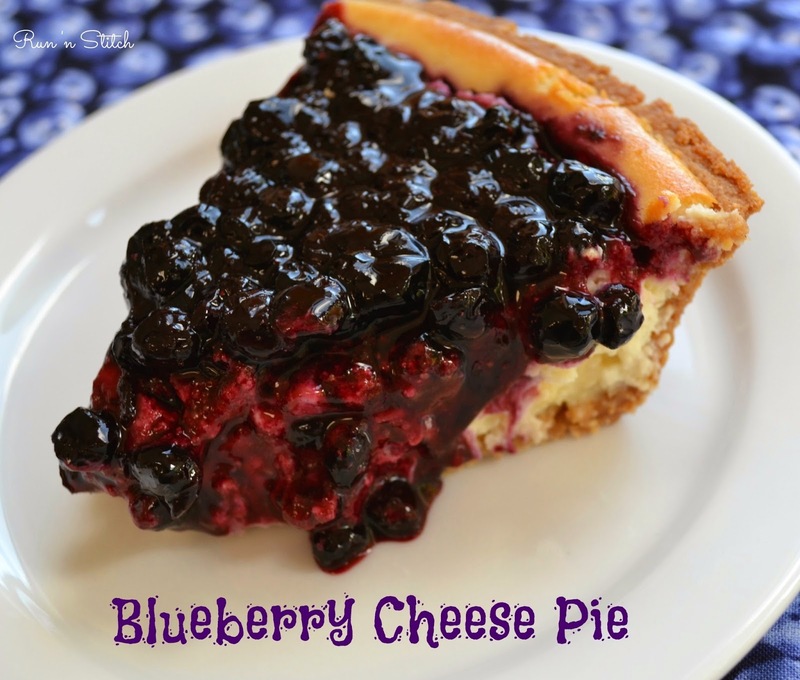 Or maybe you're in the mood for a slice of Blueberry Cheese Pie from Run 'n Stitch - oh my goodness! And don't forget that you can also share your garden and outdoor related projects all month long at our July Garden Party! *Link up your furniture makeovers, DIY projects, home decor, crafts, recipes, thrifty finds, etc... We want to see whatever is inspiring you at the moment! Hope you're having a break from the summer heat, Sharon. Yesterday I met a friend for a girl's day at the coldest place in the nation! LOL No matter...we had a blast. Just glad I wasn't one those camping on the beach. Best wishes for an extraordinary day! Happy Tuesday :) Thanks for the party. I love your party!! Thank you for featuring my blueberry cheese pie. Nice party, today. Love the upholstered pieces. They did a great job! Thanks for the party, Sharon! Have a wonderfully inspiring week! thank you so much for sharing my chairs! :) i really appreciate it! since then i have done 2 more and a set of breuer chairs needing seats- it lit a fire under my you know where! Thank you so much for the party Sharon. 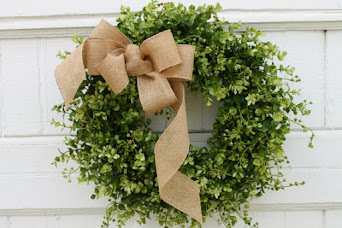 Hope you are enjoying a wonderful week! Thank you Sharon. Always enjoy your parties. I seem to be having trouble with Linky Tools v. 2.0 with my images showing up. Have a great day. 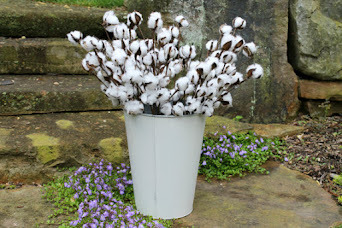 Thank you so much for featuring my Salvaged Door Potting Table! What a nice surprise!! Thank you for hosting. 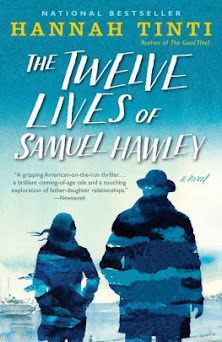 I am happy to have a post to link today. The features are fabulous. I love to see the furniture re-do's. 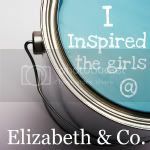 Look what I found at Elizabeth & Co.! Mid Century Modern in Lamp Black, Again!